Watch Out! There’s a new kid on the block and he’s tougher than the cobs of Hell. 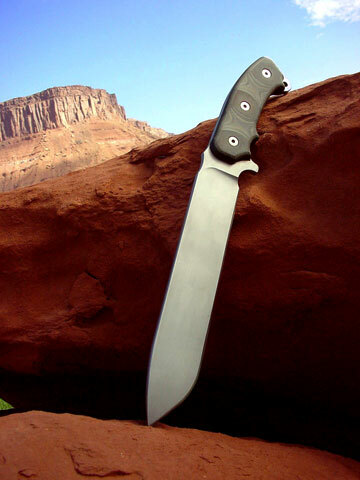 His name is Eric Fehrman and his company is Fehrman Knives. Eric is by trade, a Tool and Die maker with two decades of experience. This means that he REALLY knows his materials and designs. Last year Eric decided to try his hand at knife making… after all… if you make tools to CUT steel you shouldn’t have any problem making a knife. Then Eric had to choose a material. With all of his years of experience as a background, Eric chose a steel known for it’s toughness, edge holding capability and durability, CPM-3V. Since CPM-3V does not respond well to a differential temper, Eric used a constant hardness which has proven to be best for use in a field blade, The hardness of the Fehrman blades is 57-60 RC and is constant across the blade. This tempering process alone takes THREE days in a computer controlled environment! I’ve been running tests on all four of the Fehrman blades for a few months now and the results are in. I received the blades in late July of 02 and went right to work with them. With all the activity around here in the summer it isn’t hard to put blades to work. One went out with one of the local outfitters, one went to work with a friend who is a carpenter (he likes to finish jobs with a small fixed blade knife) one went into the kitchen and I went to work with the big chopper. These blades have great balance, terrific edge retention, wonderful control and a handle that is comfortable after long hours of hard use. You’ll see this thing digging holes, chopping bone and a ton more in the Desert Survival video. When I was finished working, the surface of the steel didn’t even show wear. Amazing… In fact the steel outperformed even the so called "wonder steels" that we have worked with in the past. These blades are more than robust. They held an edge better than any blade tested so far… period. The handle is ergonomic and that means comfortable. It fits my hand so well I had no problem using it for hours at a time. 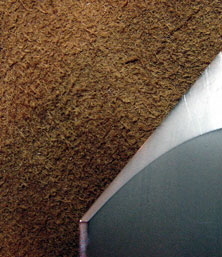 The fit and finish are airtight and the attention to detail on the blades is excellent. 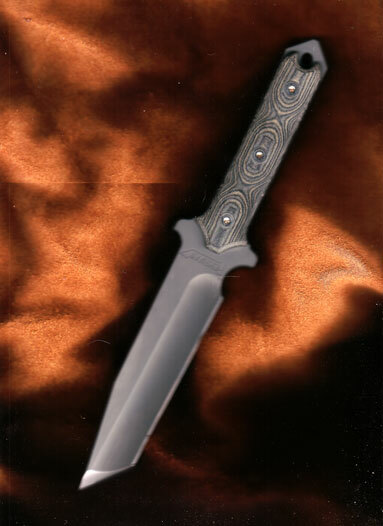 My "Final Judgment" of the Fehrman knives? 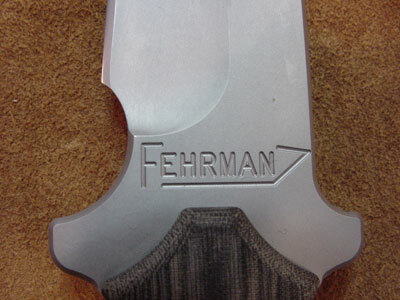 You can’t go wrong with ANY of Fehrman’s Fierce Tools. This amazing little blade does far more work than a blade it’s size should. 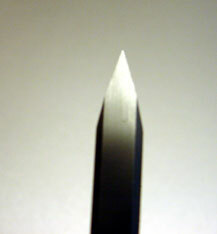 Tough through and through the Hollow ground edge and Tanto tip are wicked sharp. This is not only a fighter it makes a great field blade as well.